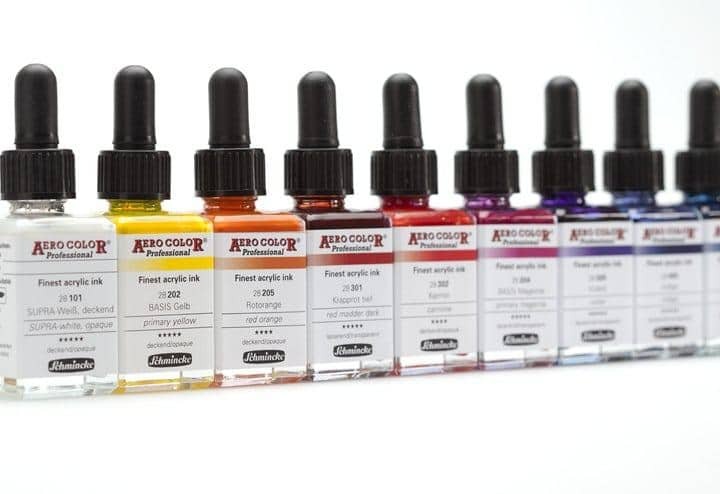 These inks, of finest pigmentation, were specially developed for the airbrush spray-gun, but also suitable for retouching pens, dip-pens and brushes. 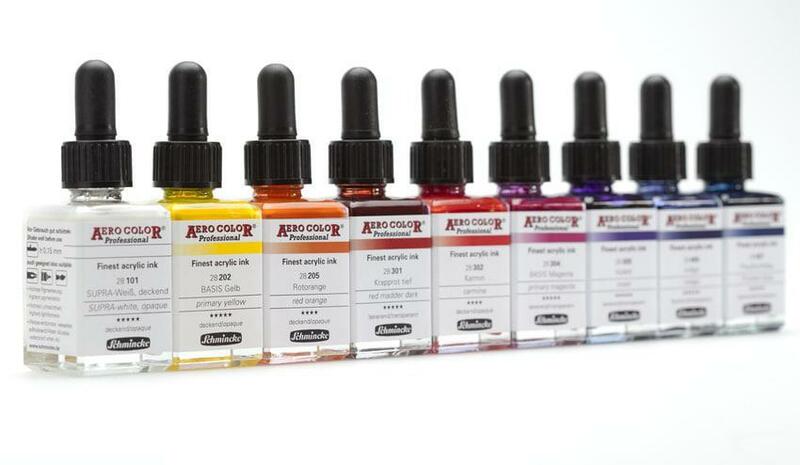 All colours come in tough pipette jars. A large number of the bright colours are glazed or semi-glazed. Aerocolour Professional adheres particularly well to all sorts of papers and cardboards, as well as non-absorbent surfaces such as film, hard plastics and, after appropriate preliminary treatment, metal.